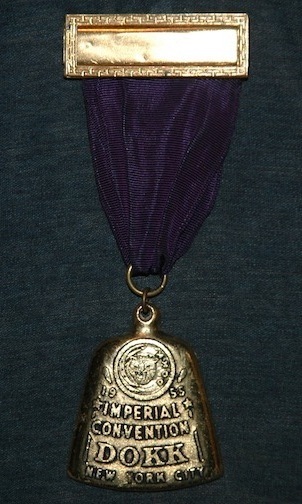 Dramatic Order Knights of Khorassan (DOKK) Imperial Convention medal from 1955. Upper is generic name plate panel, name insert is missing, from which is suspended a purple ribbon. 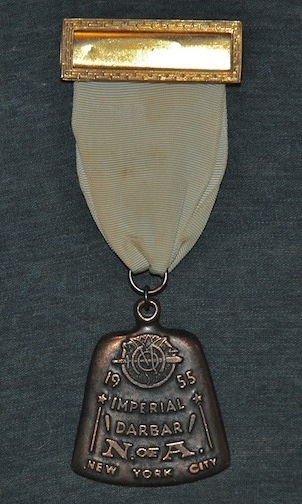 Nomads of Avrudaka Imperial Darbar medal from 1955. Upper is generic name plate panel, name insert is missing, from which is suspended a white ribbon. 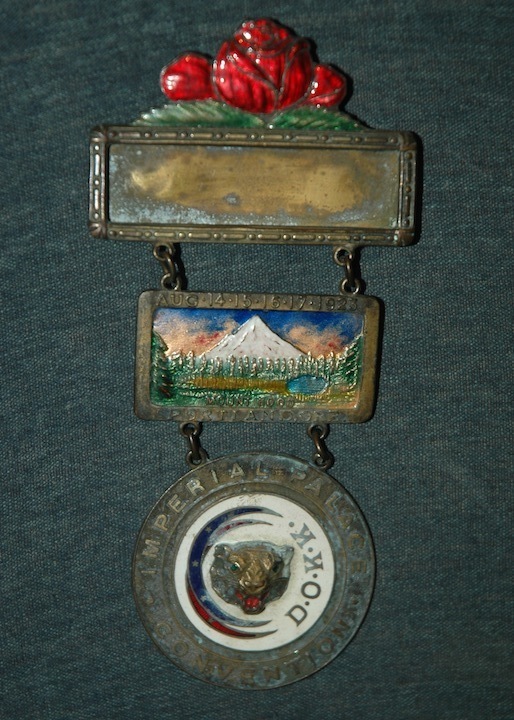 DOKK Medal from the Imperial Palace Convention held at Portland, OR in August of 1923. See TAFC.2012.11.1-.3 for photos from this same convention.